On October 21, 2017 June 19, 2018 By Genki JasonIn Film Festivals, Japanese Film, Japanese Film Reviews, Japanese Film Trailers. The opening film is Fumihiko Sori’s Fullmetal Alchemist, which anime and manga fans have been eagerly awaiting for quite some time. This fantasy/action film has the potential to be huge since Warner Bros. Japan are backing it and the original manga by the super-talented Hiromu Arakawa is quite possibly one of the most popular franchises around. Bringing it to the screen is Fumihiko Sori, director of the live-action Ping Pong (2002) movie, a visual effects man who has done lots of CG films and he will be conducting a masterclass at the festival. Synopsis: Edward Elric (Ryosuke Yamada) and younger brother Alphonse’s mother passed away from the plague when they were little children. The two attempted to bring her back from the dead by performing a human transmutation which is taboo in alchemy. Their attempt fails disastrously. Edward loses part of his body and Alphonse loses his whole body. Edward sacrifices another part of his body to bind Alphonse’s soul to a suit of armour and then goes on to become an Alchemist. He sets out on a journey to find the “Philosopher’s stone,” which has the power to get back what they lost. There are a lot of other films in the Special Screenings section such as a rock documentary, vibration: THE YELLOW MONKEY which tracks the popular group after they reformed and toured in 2016. Stephen Nomura Schible’s documentary, Ryuichi Sakamoto: Coda traces the singular musician’s journey from his start in the 1980s pop world through to the major composer and performer today and his current battle against cancer and nuclear energy and his return to creating a major new work. It is fresh from being lauded at festivals in Europe and Canada and audiences in Tokyo will also get the chance to take part in one of the many special events at TIFF is a special talk called Visuals and Music: A Special Talk Event with 4th SAMURAI Award Recipient Ryuichi Sakamoto. Speaking of samurai, there is a screening of the Shigemichi Sugita samurai movie, A Duel Tale. It is based on a story by writer Shuhei Fujisawa, writer of period tales such as The Hidden Blade, The Twilight Samurai, and Love and Honor, this one sees Tatsuya Nakadai plays Shoji an old samurai who merely lives with his brother’s family, but when his niece Yoshinari (Nanami Sakuraba) turns down a marriage proposal the guy doing the proposing is furious and calls on a male to fight in a duel. The old samurai in Shoji comes back to life to defend Yoshinari and as he begins dusting off his old skills he relives old memories. The French-Japanese co-production Mutafukaz will be shown off at this year’s TIFF. the animation, which is based on a comic-book series, has been brought to life by Studio4°C (Batman Gotham Knight, Tekkonkinkreet, the three Berserk CG movies) and Ankama (WAKFU series). Mutafukaz is full of pop-culture references to things such as John Carpenter’s They Live and Batman as it brings a story of weird characters living in alternative LA seeing monsters. This comedy comes from the director of Hard Romanticker. It was filmed in Fukuoka City. 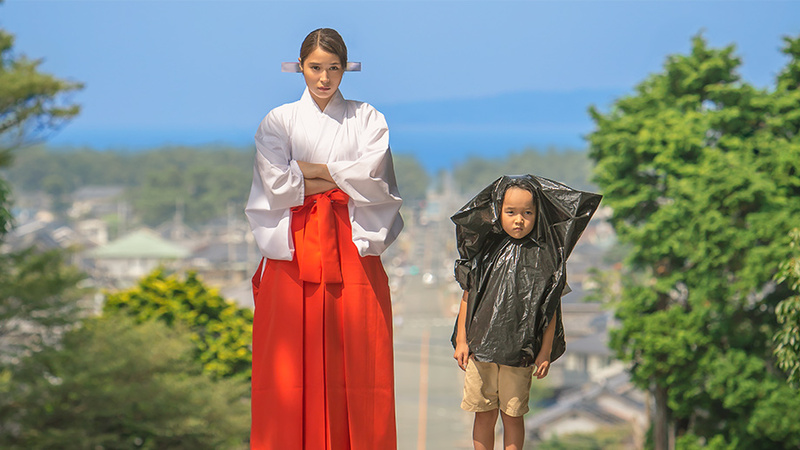 Synopsis from the festival site: The daughter of a Shinto priest, the shrine maiden Shiwasu takes care of 5-year-old boy Kenta under extraordinary circumstances. This is the story of Shiwasu’s growth as a woman, intertwined with the rules and etiquette of the shrine, and its behind-the-scenes workings. The Godzilla Cinema Concerts features two screenings of Godzilla (1954) accompanied by live symphony orchestra at the Tokyo International Forum. Meanwhile, over in Ginza at the Kabukiza theatre, kabuki actor Ebizo Ichikawa will put on a live performance of Otokodate Hana no Yoshiwara before a screening of the digitally remastered classic, The Gate of Hell (1953). Synopsis: Hajime seems like a mild-mannered guy. He has a welding job and a cute girlfriend but everyone has secrets. However, behind that polite exterior and charming smile is his mysterious past as a robber and it comes to haunt him when is compelled by a former associate to rob a mansion. He is caught red-handed by the owner but all is not lost because he is not recognized as a criminal, a mistake which he desperately tries to keep intact. There’s a curious section called The Japan Foundation Asia Center presents CROSSCUT ASIA #04 WHAT’S NEXT FROM SOUTHEAST ASIA and the fourth film takes place in Malaysia. It is a documentary following the production of Isao Yukisada’s Pigeon which looks into filmmaking, unity, fate, and history through the influence of the late Yasmin Ahmad. In recent years, there have been scandals surrounding women being forced into the Adult Video world and the police have been prosecuting people over the issue. Does Takahisa Zeze, a man with a background in AV brings a book by Mana Sakura, an AV actor, to the screen and shows the complexity of the issue. A person obsessed with ammonites? How quaint. However, I can’t ready the synopsis for this and not think about the Junji Ito manga Uzumaki. Synopsis: Yoshika (Mayu Matsuoka) is 24-years-old with a fairly unique hobby: she likes researching ammonite fossils and collects them. Perhaps this explains why she doesn’t have a boyfriend in her life. Or maybe the lack of a man is down to the fact that she pines for her first love, a guy from school named Ichi. One day, Ni, a guy who works at the same company, confesses his feelings for her. Synopsis from IMDB: Passage of Life is based on a true story in the beginning of the 2010s. It was shot in 2014 by a production team of both Japanese and Burmese people. *Passage of Life shows the reality of a Burmese family living in Tokyo that immigrated to Japan with no visa, like many others did after the 8888 Uprising occurred in Myanmar. They spend their days wondering when the right time to return home is. *Passage of Life shows life in Myanmar in the middle of rapid economic change. *Passage of Life is about a family that just wants to be together, but is separated by two countries. *Passage of Life depicts the inner struggles of a 7 year-old boy who has two national identities and is struggling with a great change in his environment. *Passage of Life was born through intimate communication between a Burmese family and a Japanese director. This is what Passage of Life is about. Japanese Cinema Splash is dedicated to supporting arthouse films and the new filmmakers making them. You can imagine many of these travelling around the world. There are 9 films in the Japanese Cinema Splash section and these indie films come from newbie directors and familiar faces. All are equally exciting. Titles include a new film from Eiji Uchida of Lowlife Love fame, a dark tale of a love-triangle gone rotten, Hirobumi Watanabe, director of Poolsideman, who brings another quiet dramedy about Beatles fans on a road-trip to Tokyo for a McCartney concert and a documentary by Hikaru Toda about a gay couple who run a law-firm that protects people who are different. Synopsis from the festival site: Fumi and Kazu are partners in love and law; they run the first law firm in Japan set up by an openly gay couple. Together for 15 years, the lawyers want to raise a family of their own in a country where their partnership has no legal recognition or protection. Driven by their own experience of being ‘outsiders’, they attract a range of clients who reveal the hidden diversity of a country that prides itself on its obedience, politeness and conformity. Tired of being silenced and made to feel invisible, the lawyers and their misfit clients expose and challenge the archaic status quo. Starring: Kiyohiko Shibukawa, Shigeyuki Totsugi, Chika Uchida. Eiji Uchida (The Grateful Dead, Love and Other Cults) has made one of a trilogy of films dedicated to and based on the works of Junichiro Tanizaki. He reunites with actors from his 2016 film Lowlife Love, to bring a tale of a trio in a love triangle that goes very, very sour. The harsh tone suggested by the synopsis totally fits the style of Uchida so expect cynicism of life and black humour. CM director Yukihiro Morigaki takes a step into features with this drama that stars a lot of great actors who play members of a dysfunctional family brought together by the death of the patriarch. 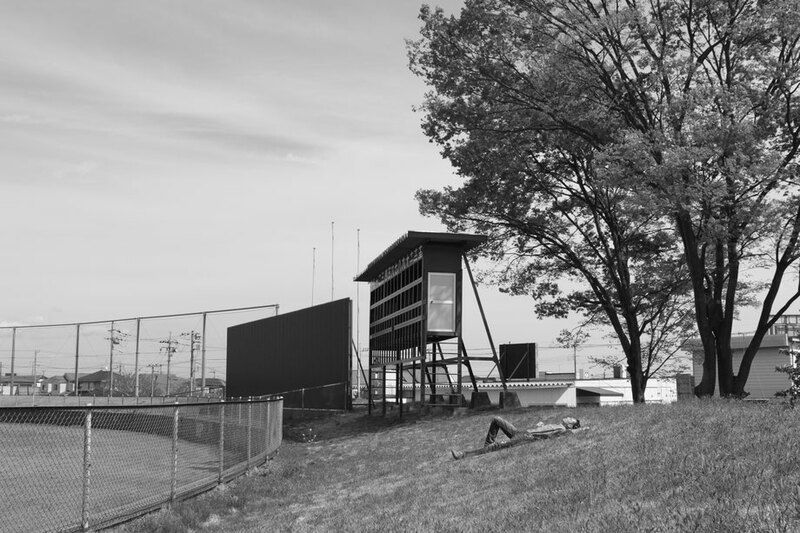 Hirobumi Watanabe and his small crew have been cranking out black-and-white films that find the humour and melancholy that characterise small-town life in Japan. Poolsideman was a big hit at last year’s TIFF and travelled around the world. This one is billed as another hit. Synopsis: Hikaru Honda works at a small electronics factory in a suburban town in the north of the Kanto region. He leads a quiet life with his dog Ringo but one day, he decides to go to a Paul McCartney concert at Tokyo Dome with his fellow Beatlemaniac, Takafumi Hirayama. Thus, a road-trip movie is born! Michio Koshikawa has an extensive filmography as a producer with titles like The Wife of Gegege, Sketches of Kaitan City (both 2010), Our Homeland (2012) and “A Band Rabbit” and a Boy (2013), and Asleep (2015). He has directed films himself and his last one, Life and Death on the Shore is also getting screened at TIFF. 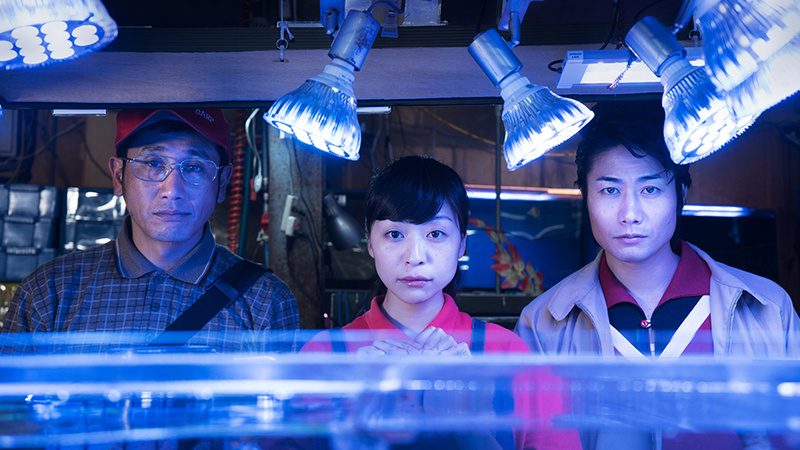 Synopsis: Set in a town in Tohoku region after the March 11th disaster, we follow a woman named Yumi who has lost everything and moves to her aunt’s construction shop in Fukushima. She takes up work in a small bar in a back alley where she meets a shopkeeper named Sugitani who has lost his memory of the past. Everything that is except one memory, his hands were cooking. Despite being surrounded by warm people, the two feel a strong sense of isolation and loneliness. Could it be this that draws the two together? This work is the second feature directed by Kyoshi Sugita, following A Song I Remember. Synopsis from the festival site: Based on four tanka poems, selected from 1,200 submissions to a contest with the theme of light, this film illustrates the meaning of light in the lives of four female protagonists. Shiori, Yukiko, Kyoko and Sachiko continue to live each day with untold feelings inside. Unable to forget a colleague on a trip, a father who is ill, a friend who works at a store that is about to close, and a long-lost husband, each woman takes a step forward. There is a light that sometimes embraces them, calmly and gently. Daigo Matsui is a regular guest at the Tokyo International Film Festival with Japanese Girls Never Die (2016) premiering there. Synopsis: In 2017, a stage performance is scheduled in a small town. The young actors are to present British playwright Simon Stephens’ “Morning” for the first time in Japan. The savage play has been attracting attention in the theater world for its story of a violent act by two best friends. The performance is suddenly cancelled, but one actress suggests they continue rehearsing. For a month, the young actors struggle between reality and fiction, as well as between film and the stage, and their story is captured in a single 74-minute shot. The music is played live in the film by rap group MOROHA. Takaomi Ogata has been around since the early 2010s and he has always dealt with tough social issues. I watched three of his early feature films but only reviewed one, Sunk Into the Womb, a brutal story of a woman who abandons her children. This one has a story that looks equally harrowing since it portrays an innocent person having their reputation murdered by the media, the lies and scandals that people mindlessly consume. Akira Ikeda directed Anatomy of a Paper Clip (2013) which won the Dragon & Tiger Award at Vancouver International Film Festival and the Grand Prize of Tiger Award at Rotterdam International Film Festival. I’m eager to see what he has made here in this film which looks unique! Synopsis: A woman named Konoko wakes up on the beach and finds she has an insect stuck on her head. Unable to get if off, she looks for a barber. Meanwhile, Doi, a father to be, wants to make a pair of gloves for his wife as a gift, Kazuko who has gone missing. Much like Konoko, she wakes up in a strange place, a theatre, and goes home where she finds a blue monster. She goes to a shop to get rid of the monster. A strange drama drama unfolds amidst ordinary scenery in this magical and mysterious fantasy by Akira Ikeda. As well as current filmmakers, the festival looks towards future ones as well with the TIFF 2017 section, Teens Meet Cinematographer which shows the results of a filmmaking workshop for junior high school students which was held in Daikanyama, Tokyo during the summer holidays. With director Nobuhiro Suwa as the lead mentor, the students developed a script, shot and edited a film. SHINPA vol.6 in Tokyo International Film Festival sees up-and-coming indie directors like Rikiya Imaizumi (Sad Tea, Same Old, Same Old) and Tatsuo Kobayashi (Gassoh, Country Girl) as well as fresh grads from film schools get their works screened. Search for this drama and you will find old entries dating back to 2011 and that is because the director Shoji Hiroshi made a short film of the same name and it travelled to different film festivals. From that short came this feature about two friends who deal in drugs. This has been picked up by Third Window Films for world sales. There is a connected event at TIFF called Directors Guild of Japan New Directors Award Film Screening and Symposium. I guess that means there’s a talk involved. The indie films from different organisations are also given a platform at the festival with the winners of this year’s Pia Film Festival and Skip City International D-Cinema Festival. Yui Kiyohara is a graduate student at the Tokyo National University of the Arts and has studied with Kiyoshi Kurosawa. This film took top prize at the Pia Film Festival. Her previous film was A Certain Bagatelle (2015). Yoshio Kato, director of PLASTIC CRIME. He was inspired to become a movie-maker after watching Family Game (1983). Japan Now has a distinctly female focus since amongst the large range of films on offer there has been the inclusion stand-out titles in the filmographies of four celebrated and internationally famous female actors, the Muses of Japanese Cinema, which sees Sakura Ando, Aoi Miyazaki, Yu Aoi, and Hikari Mitsushima get some of their most important and latest works screened. The inclusion of some smaller but excellent titles like 0.5mm and Dear Etranger from female directors shows that Japanese cinema has fostered female talent. All that remains is for audiences to support it so these talents can keep producing great films. Naomi Kawase is a native of the city of Nara and shot this film there. It won a lot of praise at the Cannes film festival earlier this year and has been picked up for distribution in many countries. 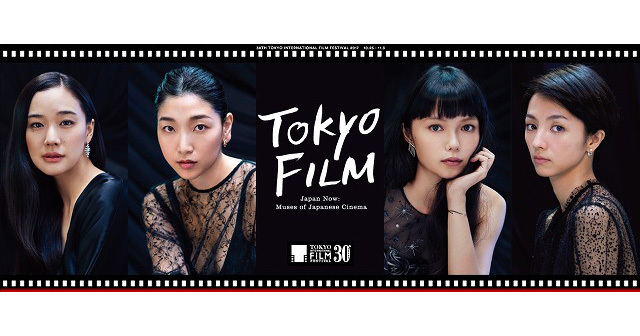 See it at TIFF and then attend a master class with Kawase during which she will host a special screening of The Wolves of the East, for which Kawase served as executive producer, and a talk session with star Tatsuya Fuji. Synopsis: Masaya Nakamori (Masatoshi Nagase) is a genius photographer. He meets Misako Ozaki (Ayame Misaki), a woman who is involved in a voice acting project for the visually impaired. The two initially don’t get on because Masaya has a cold attitude but when Misako sees a photograph of a sunset shot by him, she is inspired to look into Masaya’s life and discovers that he is losing his sight and their relationship changes. Yuya Ishii was one of the first directors I started tracking on my blog thanks to his films getting UK releases thanks to the bravery and good taste of Third Window Films. Sawako Decides (2010), Mitsuko Delivers (2012), and The Great Passage (2013). He has gone from indie kid to award-winning adaptations and kept a certain level of quality in his incisive look at human nature, regardless of genre and who the stars are. Here, he works with newbie actor Shizuka Ishibashi (daughter of Ryo Ishibashi) and pairs her up with the more experienced Sosuke Ikematsu (How Selfish I Am!) and Ryuhei Matsuda (Nightmare Detective, My Little Sweet Pea) who was the lead in The Great Passage. The actors all portray characters caught up in the whirlwind world of Tokyo, alienated, stressed, and looking for relief from the everyday grind. It is sleekly shot with visually inventive moments and beauty and captures life in Tokyo. Synopsis from the Berlin International Film Festival Site: Mika (Shizuka Ishibashi) works as a nurse by day; by night she entertains covetous men at a girls’ bar. Shinji (Sosuke Ikematsu) is blind in one eye and ekes out a living as a construction worker. Young and grown-up at the same time, they both lead a lonely existence, but somehow their paths keep miraculously crossing under the Tokyo sky. Can loneliness be experienced together? The Night is Short, Walk On Girl is based on a best-selling novel by Tomihiko Morimi, author of other books adapted into anime such as The Eccentric Family and The Tatami Galaxy. The staff who created The Tatami Galaxy reunited for this film which was released in Japan in April. I saw posters of it plastered all over Kyoto while I wandered around the city and it’s no wonder since the novel is set there much like the rest of Tomihiko Morimi’s works. The director is Masaaki Yuasa, the visionary director behind Mind Game, Ping Pong: The Animation, and The Tatami Galaxy who is finally being recognised by the international film festival circuit. He’s winning awards for his movies Lu Over the Wall and this one around the world. His direction is God-tier. How do I know? I saw this at a film festival I work for and I was surrounded by an audience who, like me, enjoyed every minute of the film. It’s a fantastic party film with lots of magical touches. We all laughed and whooped and cried throughout the film. I felt high energy throughout it all. Here’s my review. This is a good drama that captures the difficulties in raising a family. It’s powered by great acting from Asano and Terajima as well as Tanaka and Kudo. It’s the sixth film from Yukiko Mishima (A Drop of the Grapevine), a female director I hope we hear more from based on this work. Synopsis: Dear Etranger is an intimate drama about one man trying to balance two families and be an ideal father at a time when others give him or are going through crises. Free from melodrama and idealism, it paints a believable picture of the stresses and strains of maintaining a loving family unit built from the scraps of past relationships. The film is based on a novel by Kiyoshi Shigematsu and tells the tale of 40-year-old Makoto Tanaka (Tadanobu Asano), an assistant manager at a company. When we first meet him, he’s meeting his daughter from his first marriage. He and Saori (Raiju Kamata) are having a dream day out in a theme park but it’s soon to end because this is one of four visits he gets to see her in a year. She has to return home to Makoto’s ex-wife Yuka (Shinobu Terajima) and he has to return to his second family. This new clan consists of a younger wife named Nanae (Rena Tanaka) who went through a messy divorce herself because her ex, Sawada (Kankuro Kudo), was a brute who beat her and their daughter Kaoru (Sara Minami) and threatened their baby Eriko (Miu Arai). Yu Aoi gave two stand-out dramatic performances in films released and shown at/around last year’s TIFF (Japanese Girls Never Die and Over the Fence) so the programmers went and picked two light-hearted films. She has physical grace and these films should show that well. This film is utterly charming and a lot lighter than Shunji Iwai’s other works. This is arguably Yu Aoi’s breakout work despite her appearance in Harmful Insect and Iwai’s All About Lily Chou-Chou (both from 2001 and both about bullying) and she would go on to appear in more of Iwai’s dramas. I had the pleasure of being at a screening of one of his titles at last year’s festival and sitting in on a Q&A and he was fascinating to listen to. Synopsis from IMDB: When two best friends develop a crush on the same boy, they develop a plan to trick him into dating them. 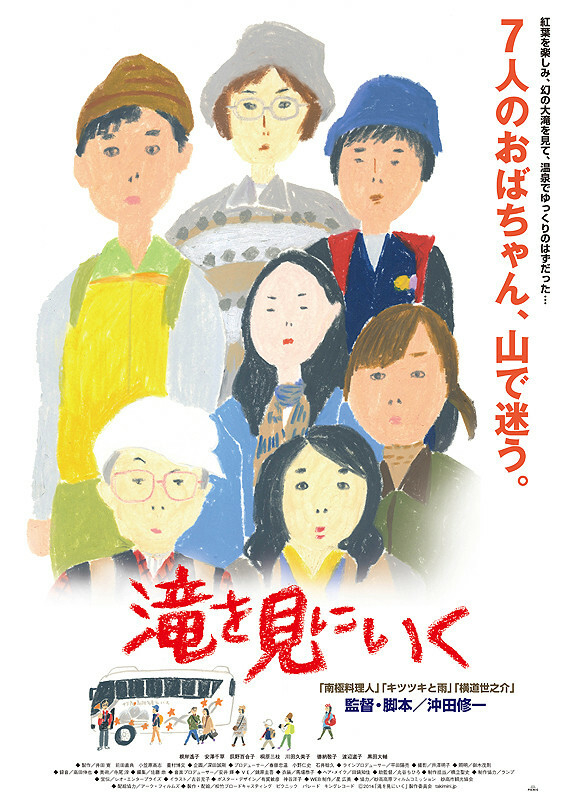 It’s a comedy based on the characters from Tokyo Story. Yoji Yamada is making a third one of these films due out next year. Sakura Ando does those edgy outsider roles that appear in dark films which draw on her ability to project heavy emotional weight. TIFF has picked two of her best films including one directed by her sister. This movie was at the 2012 Berlin Film Festival where it won the CICAE prize. It is a partly autobiographical tale that draws on the director’s life and also tells the story of the emigration of over 90,000 Koreans from Japan to North Korea after being promised a better life. Review shows that it is a strong dramatic film. It stars Sakura Ando (Love Exposure, Crime or Punishment?!? ), Arata (After Life), Kotomi Kyono (Takeshi’), Jun Murakami (Himizu, The Land of Hope, Blazing Famiglia), Taro Suwa (Ju-On: The Curse, Reincarnation), Yoshiko Miyazaki (Villain). Synopsis: From 1959 to 1979 the North Korean government implemented a policy to attract Korean living in Japan to the idea of immigrating to North Korea. One of those who went was Son-Ho (Arata) who left his younger sister Rie (Ando) behind in Japan. 25 years later the two meets again when Son-Ho returns to Japan for three months for an operation. The film looks at the clash of feelings and cultures. Starring: Sakura Ando, Junkichi Orimoto, Toshio Sakata, Masahiko Tsugawa, Akira Emoto. In 0.5mm, Sakura Ando’s sister writes and directs a darkly funny take on Japanese society, confronting ageing, class and patriarchy. Synopsis: Sawa, a home helper for a middle class family with an elderly infirm grandfather, is forced to stretch her morals to keep her job. As a result, she finds herself broke and out on the street. She survives her first night by striking up an ambiguous friendship with a kindly old man, gaining access to a portion of the immense wealth held by Japan’s aging population. She continues with similar encounters, and while these begin as scams or revenge on rampant sexism, they ultimately become vulnerable intergenerational exchanges. Aoi Miyazaki has been reviewed here in a number of films from The Great Passage to Su-ki-da and Petal Dance. She can be cool and distant, an elusive and sensual presence but in Rage she plays manic and in Eureka devastatingly damaged. Aoi Miyazaki and her brother made a big impact playing siblings in this film which is considered a modern classic and it’s Shinji Aoyama’s best work by far. Shot in a sepia tone and with little dialogue, it’s a deeply moving tale of overcoming a traumatic incident with great performances from Koji Yakusho and Aoi Miyazaki in the leads. Synopsis: Two years after a gruesome bus hijacking, the three remaining survivors come together to try and cope with the traumatizing memories. Among them is bus driver Makoto, who faces suspicions over his role in the tragedy. He tries to track down the brother and sister who also survived. A deeply moving, slow-burning drama set in the countryside of Kyushu, where time moves significantly slower than in other parts of Japan. I watched it after returning to the UK and found it to be a powerful drama (review over on VCinema) fascinated with the idea of evil and people hiding their true identities. It is based on a novel by Shuichi Yoshida and he has had many of his books turned into films and they are almost all available in the UK thanks to Third Window Films: A Story of Yonosuke (2013), Villain (2010), Parade (2010) The Ravine of Goodbye (2013) isn’t one of them but it was at the London Film Festival. Sang-il Lee handled the big-screen adaptation of Villain (2010) and crafted a good drama. Rage looks to be on a par. It contains a stellar cast who have been in many films including Aoi Miyazaki. Synopsis: A a married couple is brutally murdered by someone. The only clues are that the murderer is a man and he wrote the word “Ikari” (“Anger”) with the blood of the couple. The killer undergoes plastic surgery and flees and Japan is gripped by the crime and whenever a male stranger appears in a community, the people there suspect that the stranger might be the murderer. People such as Yohei Maki (Ken Watanabe) who works at a harbour in Chiba. He is concerned that the man his daughter Aiko (Aoi Miyazaki) is dating, Tetsuya Tashiro (Kenichi Matsuyama), might be the killer, because Tetsuya is not his real name. An advertising executive named Yuma Fujita (Satoshi Tsumabuki) falls for a man named Naoto Onishi (Gou Ayano) and they begin to live together but Yuma soon develops suspicions that Naoto is the killer. Izumi Komiya (Suzu Hirose) and her mother (Urara Awata) move to an isolated island in Okinawa and Izumi meets a backpacker named Shingo Tanaka (Mirai Moriyama) who is hiding a secret. Three different communities across Japan, three different stories involving different people, all linked by one murder. There are many films that could have been picked to represent Hikari Mitsushima like Sawako Decides and Love Exposure but these two are her latest and pretty strong. Capable of being punkish and vulnerable at the same time, she takes centre stage in both films at TIFF and shows her acting chops. Her turn in Traces of Sin will be sure to have audiences sympathising. This is Michio Koshikawa’s sophomore film but he has an extensive filmography as a producer with titles like The Wife of Gegege, Sketches of Kaitan City (both 2010), Our Homeland (2012) and “A Band Rabbit” and a Boy (2013), and Asleep (2015). This is a war movie and it was the second film made by Hikari Mitsushima in 2017 (the other is Trace of Sin) who has worked with Koshikawa on one of his films. She is paired up with Kento Nagayama in this romantic war-time melodrama. Hikari Mitsushima and Satoshi Tsumabuki play siblings in this shocking exploration of class-warfare and murder. There are some surprise deaths and great acting turns that will leave audiences reeling. Synopsis from the Nippon Connection: Several years after the brutal, unsolved murder of a Tokyo family, ambitious reporter Tanaka attempts to find the perpetrators of the crime. Step by step, he comes close to discovering what really happened. There are other titles that are fresh from touring the international festival circuit such as Hirokazu Kore-eda’s critically-acclaimed murder mystery, The Third Murder and Daihachi Yoshida’s sci-fi family tale A Beautiful Star which is about a family who believe they are aliens with a mission to save the Earth from nuclear weapons. One of the big highlights has got to be seeing the grand-old man of Japanese arthouse cinema Nobuhiko Obayashi of House fame who has made another film. This one is Hanagatami, an anti-war tale that looks as colourful and imaginative as some of his earlier titles. This was at the Tokyo International Film Festival last year and reviews like this one paint a picture of a great family drama thanks to the actors Rie Miyazawa (Pale Moon, Twilight Samurai), Joe Odagiri (Bright Future, Mushishi), and Hana Sugisaki (Pieta in the Toilet). Synopsis: Futaba and her daughter Azumi live in a house connected to their family-run bathhouse in a small town. Their used to be three people in their family but husband and father Kazuhiro left them for another woman and since then, the bathhouse has been closed. Everything changes when Futaba is diagnosed with terminal cancer, giving her only months to live. The approach of death fires her up to make the most of her remaining time. She develops a head of steam and becomes determined to reunite her family, reopen the bathhouse, and take care of her daughter. Her journey will uncover new friends and secrets as she makes peace with the world before leaving it. Synopsis: A mysterious man shows up at a family-run a print shop in downtown Tokyo and worms his way into the business and then the family after which he learns everyone’s secrets and begins to manipulate the people around him. According to Akirakurosawa.info, the new print was scanned from the film’s original negatives and restored frame by frame under the supervision of the film’s original distributors and the colour grading has been approved by Masaharu Ueda, one of the three cinematographers who worked on the original film. Synopsis from indepdentcinemaoffice: ‘Ran’ stands for chaos, turmoil or fury in Japanese; all befitting Shakespeare’s vision of a nihilistic world turned upside down and revolting against its natural order; dramatising the pain and rage of ageing and its inevitable loss of control. Borrowing narrative elements from the legend of Mōri Motonari (a 16th century Japanese warlord) as well as the Shakespearean tragedy, Ran stars Tatsuya Nakadai as the vain, arrogant Great Lord Hidetora Ichimonji, who at seventy decides to abdicate and divide his domain amongst his three sons, with catastrophic results. Spectacularly beautiful, with gorgeous, colour-saturated frames, it is an undoubted masterpiece; the product of a breathtaking artistic vision that works as an historical epic and Shakespearean adaptation as well as a bloody, action-packed war film with a silent central battle scene that must be seen to be believed. Shuichi Okita caught my attention last year with two film releases: The Woodsman & the Rain (2012), The Story of Yonosuke (2013), two gentle bittersweet comedies with strong ensemble casts. Ecotherapy Getaway Holiday is his latest film and it features another ensemble but they are a bunch of unknowns. This was at the Tokyo International Film Festival and Mark Schilling’s review in The Japan Times indicates that this is a solid dramedy. Synopsis: Seven middle-aged/elderly women go for a tour of a mountain to see a picturesque waterfall. Their trip is pleasant until their male guide disappears and leaves them stranded deep in the mountains and with no cellphone service. This film is based on a true event that took place in an elementary school in Osaka Prefecture. It was premiered at the 21st Tokyo International Film Festival. Synopsis: The film revolves around the story of an elementary school teacher who proposes that his class raise a piglet at school with the aim of eating it once it has grown up. Synopsis: In a jury room, jurors deliberate on the guilt or innocence of a bar hostess accused of pushing her ex-husband into the path of an oncoming truck. Most of the jurors are nice folks unwilling to believe a women could do such an evil act. Juror #2, (Kazuyuki Aijima), then takes the initiative to convince his peers otherwise. 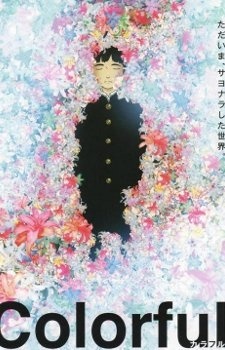 For anyone looking for more anime than the single (amazing) title programmed in Japan Now, there is The World of Keiichi Hara, a career restrospective which will showcase his early anime works, two episodes of the TV anime Mami the Psychic and a movie spin-off, and his two Crayon Shin-chan films, The Adult Empire Strikes Back and The Storm Called: The Battle of the Warring States and Summer Days with Coo, a fantastical adventure about a schoolboy who befriends a kappa. There is also his live-action feature! Synopsis: When you think of Japanese art, chances are that you are familiar with the celebrated ukiyo-e artist Katsushika Hokusai whose woodblock prints of subjects such as Mount Fuji have become representative images of Japan. His most famous is “The Great Wave off Kanagawa,” that features a huge wave of blue surging water topped by white foam framing Mount Fuji. It is an image that can be found in galleries, on posters, and other types of merchandise and it is images like these that inspired some of the stylistic techniques of the French Impressionists. Would it surprise you to hear that Katsushika Hokusai had a daughter who was also an artist? That she created works in her own right? That some scholars suggest she was more than just her father’s assistant but a close collaborator who played a major role in his art as he neared 90 and had palsy? Like many a female artist it seems that her contribution to art has been forgotten about by history, something which the anime “Miss Hokusai” seeks to redress. Colorful is an award-winning movie adapted from a novel written by Eto Mori. It won the award for Excellent Animation of the Year at the 34th Japan Academy Prize and received the Audience Award and Special Distinction prize at the Annecy International Animated Film Festival in 2011. It’s a great drama that is sure to make people cry. Synopsis: Upon reaching the train station to death, a dejected soul is informed that he is ‘lucky’ and will have another chance at life and is placed in the body of a 14-year-old boy named Makoto Kobayashi, who has just committed suicide. Watched over by a neutral spirit named Purapura, the soul must figure out what his greatest sin and mistake in his former life was before his time limit in Makoto’s body runs out. He also has a number of other lesser duties he must complete, such as understanding what led Makoto to commit suicide in the first place and learning how to enjoy his second chance at life. This film was made to commemorate the 100th year anniversary of Keisuke Kinoshita’s birth and it follows his early life from his days as a lively youth to his entry into Shochiku movie studio. The trailer is pretty earnest and some of the themes seem to be the loyalty of a son to his mother and the mother’s belief in him. Wipe away the tears and you will see that footage from Kinoshita’s films has been interwoven into the new film. Aoi Miyazaki leading those children along the riverbank is a clear nod to Twenty-Four Eyes. He refused to be bound by genre, technique or dogma. He excelled in almost every genre, comedy, tragedy, social dramas, period films. He shot all films on location or in a one-house set. He pursued severe photographic realism with the long take, long-shot method, and he has gone equally far toward stylization with fast cutting, intricate wipes, tilted cameras and even medieval scroll-painting and Kabuki stage technique. There is more anime at the festival from claymation to the screening of 5 films directed by Makoto Shinkai as part of an All night screening presented by WOWOW’s “CINEMA STUDIO”. Synopsis: I saw this in a double-bill with Ugetsu Monogatari when I was a teenager and cried my little heart out at the end. It’s a jidai-geki set in the Heian period and tells the tale of a virtuous governor who gets exiled to be the lord of a remote province. When his wife and children travel to meet him years later, they are betrayed and the mother is sold into prostitution and the children are sold into slavery. They battle to retain their humanity and will to live even under such awful circumstances. Shohei Imamura is one of the New Wave directors that came after the golden age of Kurosawa and Ozu. 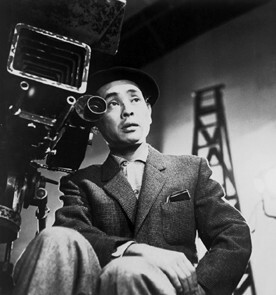 Indeed, he worked with Ozu on a number of films such as on the films Early Summer (1951), The Flavor of Green Tea over Rice (1952) and Tokyo Story (1953) before he blazed a trail of his own with fiction and documentary films that offered a critique of Japanese society – Pigs and Battleships (1961), The Profound Desire of the Gods (1961) and Vengeance is Mine (1979), and Black Rain (1989). He won a Palme d’Or for this film and The Eel (1997). My personal favourite of his works is the more laidback and funny, Warm Water Under a Red Bridge (2001). Synopsis: The film is set in poor rural Japanese village some time in the 19th century. It is tradition that everyone who reaches the age of 70 has to climb a nearby mountain to die. An old woman named Orin resolves not to be a burden on her family and spends a year wrapping up affairs and helping her family before she makes her own journey. We see her efforts. This Kurosawa title which won the Palme d’Or at the 1980 Cannes Film Festival is the 4K Digitally Restored Version which gives rise to the hope that, like Ran, it will tour different cinemas around the world. Watch the trailer and imagine it looking a lot better. Synopsis from Wikipedia: In Japanese, kagemusha is a term used to denote a political decoy. It is set in the Sengoku period of Japanese history and tells the story of a lower-class criminal who is taught to impersonate a dying daimyō to dissuade opposing lords from attacking the newly vulnerable clan. The daimyō is based on Takeda Shingen, and the film ends with the climactic 1575 Battle of Nagashino. 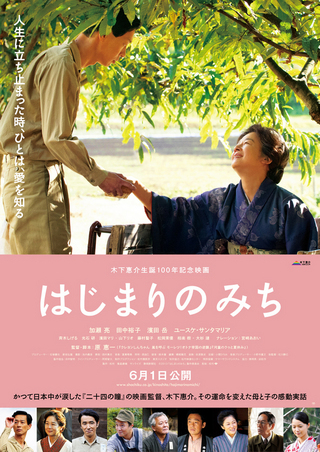 Synopsis: This is about a junior high school in Tokyo for the elderly who were unable to complete their compulsory education because of the war. The documentary follows the school and its students for 5 years. Synopsis: This one sounds epic in terms of the commitment of everyone involved. We see 22 years of the lives of nine people who run an udon noodle restaurant on the Goto Islands in Nagasaki prefecture. Toru Inuzuka (Tora-san), is the proprietor of the restaurant and makes famous noodles with his family. Everyone gets up at 05:00 every morning before school/work to prepare the noodles. The children get paid pocket money according to their efforts which are recorded on time cards! We see the lives of everyone unfold through graduation, marriage, and childbirth, homecomings and farewells. This theatrical version is a re-edited version of a TV program by director Masaru Ohora. Synopsis from the festival site: 90-year-old architect Shuichi Tsubata and his 87-year-old wife Hideko live in Aichi Prefecture. Their garden is bursting with 70 types of vegetables and 50 types of fruits, and they live in harmony with nature. If you made it all the way down to the bottom of this post and read even a little of it, thank you for your effort. I hope this helps you in some way or proved entertaining. Look again, my friend! He is in Miko Girl! Some really good films listed, thanks for collating them all and sharing the info! I almost forgot about Ikari, need to see if I can find subs for that. I know Nanimono isn’t on this list, but have you seen it, and if so, how was it? There are a lot of great films at this year’s TIFF and I hope to see them! I haven’t seen Nanimono but a friend did and he said it was really good. It’s another one I’d like to watch.